What did you think of Identifying the Compound Subject part 3 ? Sometimes a subject may be more than one thing or person. 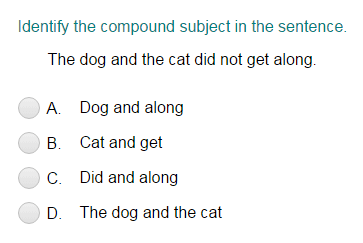 They have more than one noun or pronoun and are called compound subjects. Debra, Harry, and I watched the movie. Here, there are three main subjects “Debra, Harry, and I.” These three form a compound subject.